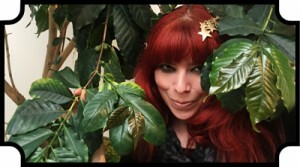 In honor of national mint julep day, I wanted to craft a coffee mocktail. 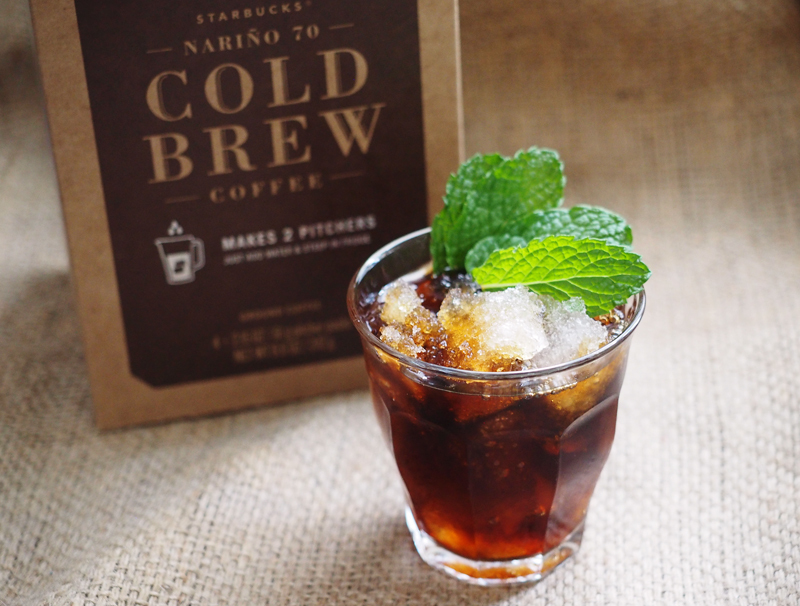 Starbucks Nariño 70 Cold Brew with a mint simple syrup over crushed ice and fresh mint. This is a very quick and easy drink to make, and it is super refreshing especially with this warmer weather we are having! I make and drink a lot of cold brew, but I really do love our Nariño 70 Cold Brew. It’s rich, chocolatey and super smooth. The cold brew filter packs make it so easy to make cold brew at home, just put the bag in water and walk away! Just like making cold brew, this mint julep coffee mocktail is very easy to make using ingredients you probably already have in your kitchen. 4 oz of cold brew. Your choice of beans, but here I used the Nariño 70. To make the fresh mint simple syrup, combine equal amounts of water and granulated sugar. Add a handful of fresh mint, torn to help release the oils. Bring to a boil and stir until sugar has completely dissolved. Remove from heat and let cool. Strain the fresh mint leaves and it’s ready to serve. The simple syrup will last about 2 weeks in your refrigerator. Pack your glass full of crushed ice. 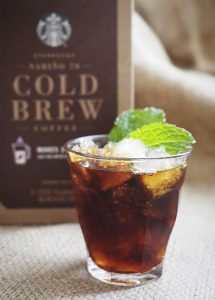 add a splash (to taste) of the mint simple syrup to the cold brew, and pour over the top of the ice. Garnish with fresh mint and enjoy! I made this immediately after I read this post. It’s phenomenal.